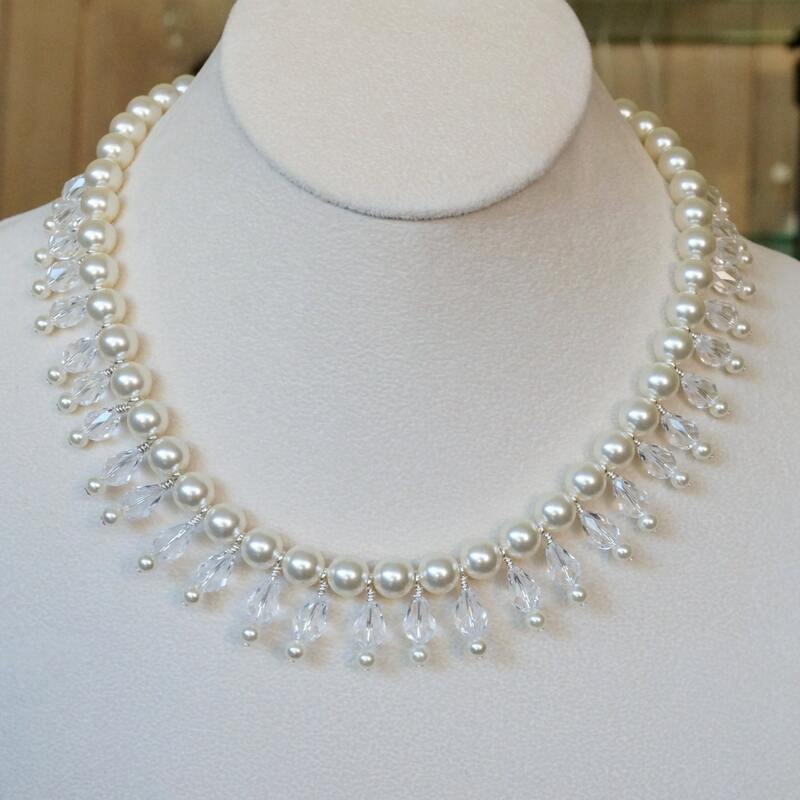 Here you have a spectacular bridal necklace! Made with love for that special bride. 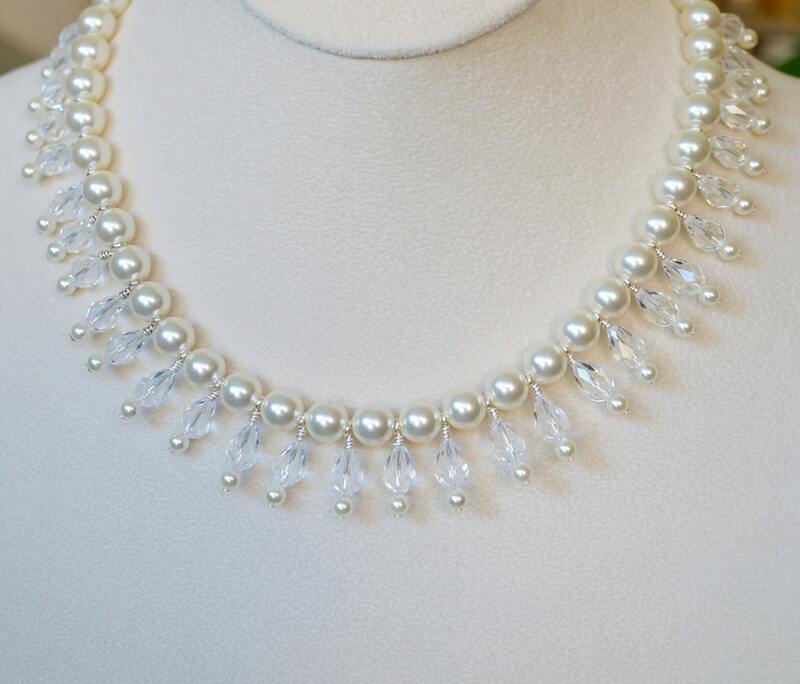 It's a bib necklace, with Swarovski 8mm and 4mm cream pearls, and Swarovski crystals. It measures 17 inches, and the bib part is 10 inches. It goes all the way to the sides of neck, 3 inches above clavicle. 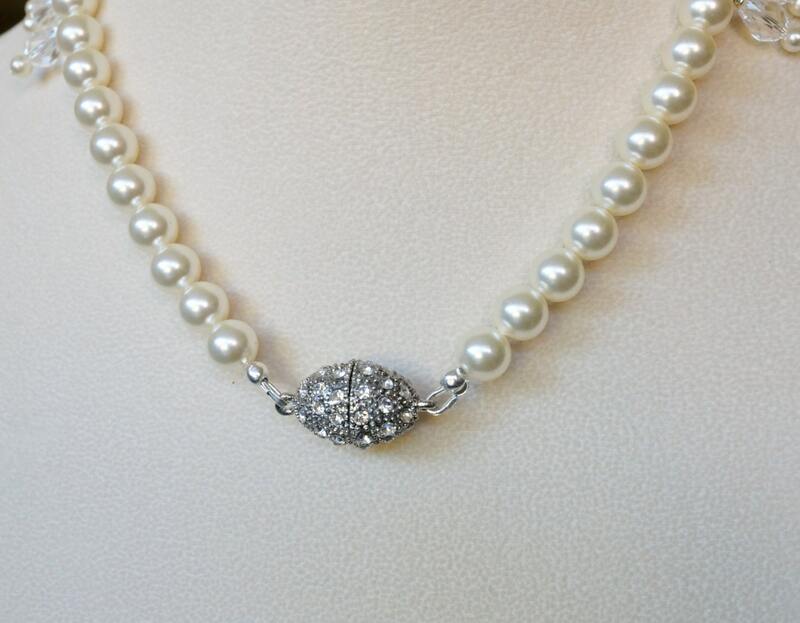 The rhinestone clasp is magnetic. I have tried it on, and believe that this length is perfect. I can shorten 0.5 - 1 inch, or lengthen it 0.5 to 1 inch. I can add more dangles, if you want them all the way to the back, for an extra $30.